Our two leading Global Emerging Market debt experts, both based in London, weigh the possibilities of a sustained upturn in this long-suffering asset class. Asia ex Japan (AxJ) equities declined by 0.9% in USD terms in April, largely on the back of currency weakness. Oil markets reached their highest levels since last November, while activity data in China improved. US Treasury (UST) yields rose in April, as hopes of stabilization in the Chinese economy underpinned demand for riskier assets. Our Chief Global Strategist explains the reasons why there is too much unjustified pessimism about Abenomics. Our Asian currency expert discusses the potential ramifications of the increasing CNY-orientation for Asian currencies. Which Matters More for Credit Spreads: Fundamentals or QE? What is more important for credit spreads in the current environment: the fundamentals or central bank actions? Our research suggests that since 2010 the answer has been central banks and, in particular, the US Federal Reserve. The global advertising industry is undergoing a rapid transition. Advertisers are currently under-allocating to mobile advertising, and there are some companies that are well placed to take advantage of this trend. For the next 12 months, we are quite positive on performance prospect for global credit, singling out five investment themes. With banks using negative interest rates and their stocks plummeting, many are wondering if the world is headed into another recession. Though things may seem grim, the truth is that another recession seems to be unlikely. Is Now the Time to Invest in Brazil? Since 2011, Brazilian assets have re-priced to the downside. Given the size of the adjustment – both in commodities and assets – the question is whether Brazil is now presenting attractive investment opportunities. Nikko Asset Management's Global Investment Committee met on March 29th and updated our intermediate-term house view on the global economic backdrop, central bank policies, financial markets and investment strategy advice. We expect June and December Fed hikes, but only mild further easing ahead for the BOJ and ECB. Meanwhile, we expect oil prices to creep higher through 2016 despite the stronger USD due to relatively firm economic developments in China and the G-3. We expect that global equity and bond investing will be positive for Yen based investors due to Yen weakness, but for USD based investors, we are taking only a neutral stance on global equities due to a cautious forecast for US equities, whereas we are positive on Asia-Pac ex Japan, Japan and Europe. Meanwhile, we are moderately negative on bonds in each region when measured in USD terms, so we underweight them. 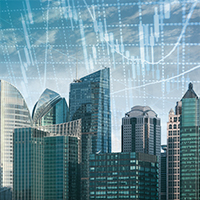 Our Singapore-based Fixed Income Portfolio Manager details the reasons for ASEAN’s recent rebound and why such should continue.